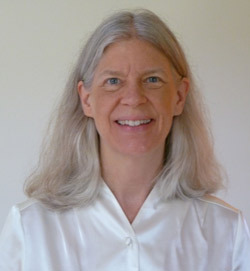 Dr. Alexandrea Lyon is a holistic healer who is particularly talented at reading the body on many different levels and bringing various modalities to stimulate deep healing and rejuvenation. She also likes to instruct patients about proper nutrition, exercise, helpful lifestyle changes, and ergonomic factors in their daily activities that can influence and support her healing work. She examines all the patient’s concerns through the lens of nutritional needs, structural integrity, as well as the influence of their underlying thoughts and emotional concerns. Courtney uses Chinese Medicine as the foundation for guiding a clients body back into balance. Chinese Medicine has been around for 3,000+ years and up until recently, the main healing modality for a large percentage of the world population. This modality has proven with the test of time to be safe and effective. Along with Chinese Medicine, Courtney incorporates other healing modalities. With a foundation as a massage therapist and energy worker she has spent many years integrating Nambudripad’s Allergy Ellimination Technique (NAET), Neuro Emotional Technique (NET), Emotional Freedom Technique (EFT), Dr. Tan’s Balance Point Method, and intuitive work into her practice. Courtney believes a combination of acupuncture and NET/Intuitive work can be highly effective in most cases if the client is ready and willing to heal. It is her sincere intent to deliver the fastest and most effective route for the body to come back to center. Click here to meet our Patient Support Administrators!